Material: 56% Acrylic, 23% Nylon, 12% Wool, 5% Alpaca, 4% Elastane. Ultrasoft top from VERO MODA. 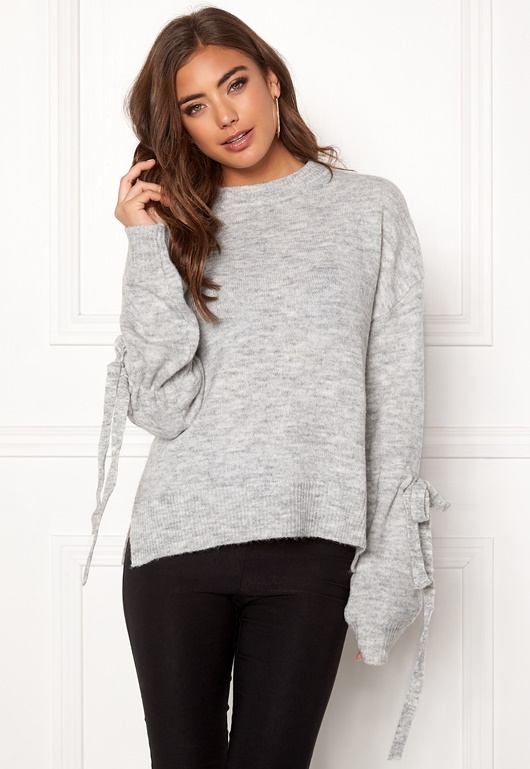 The top has pretty tying details on the sleeves and is perfect for colder weather. - Soft, stretchy quality - Rounded neckline - Slits at the bottom of the sides - Ties on the sleeves (not removable) - Knitted cuffs at the wrists and hem Back length from shoulder 61 cm, bust 110 cm, sleeve length from neckline 80 cm, in size S. The model is 172 cm tall and wears a size S. Machine wash at 30 degrees (delicates).